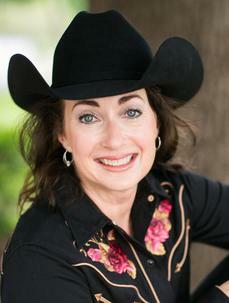 Kristin Miner, "Rodeo Realtor" with Open House ATX...Boots, bling and a team! to serve your real estate needs to sell or find your home and investments in Austin and surrounding areas from suburb to city, an acre to acreage, hill country to lakefront. Special services include equestrian and large acreage/farm properties. Additionally, new construction is also an area of expertise ~ Kristin provides much to understanding new construction builders, plus the considerations in making selection and attention to detail in building your dream home. ~ proceeds benefit scholarships for students! ...let my team and I help you rope in the buyers! I provide both a professional Stager and Photographer as part of my contribution - at my expense - to help us work together and sell your house. Plus, free listing home warranty and additional marketing tools as applicable. ...let me help you find the right home in the right area. Texas has the most variety of options from hills to lakes, city to suburb, gated to farm and ranches, all just a few short miles from the other. ....whether it is a lot or acreage to build on, half an acre or more with a home, equestrian, hunting or ranches, my boots have been there. I will take you through the trails. Know your options in new spec homes available, builders, design, selections and details involved in building your dream home. Builders welcome Realtors, and it is no cost to you to have the guidance and assist. Upon closing, $100 donation to a charity or foundation of your preference.